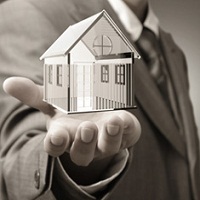 We are reckoned as one of the prime Real estate agent in Delhi/NCR. We have been providing the client with best real estate consultancy for buying, selling and renting of residential, commercial, industrial and agricultural property. Our credibility depends on our vast experience and customer centric approach that enable us in successfully catering to the specific requirements of the clients. By offering most fruitful solutions, we have established ourselves as a prominent property dealer in Faridabad. Our team of professional has in-depth knowledge and vast experience in this field. And they work in close coordination with the buyers and sellers of the property in order to ensure a profitable deal. Moreover, with our huge databank, we are able to serve the investor with best investment option, in some of the posh localities of the region. Besides, we also assist the clients in documentation work for the smooth and hassle free transactions.